Growing up in Blackpool you sometimes forget about the little treasures we have on our own doorstep for a family day out. Coral Island has long been within the top 5 places to visit in the town and when they kindly offered for me & Lee to relive our youth along with the kids, we set sail straight away in search of an adventure. It’s probably been 20 years since we both were last there but as soon as we walked through the doors, it felt like 2 minutes. Coral Island is more than just an arcade, it’s an indoor resort perfect for families looking to enjoy a family day all under one roof. With 4 different restaurants, indoor rides, arcade games, a casino and much, much more, a planned 2 hours visit soon turns into nearly 5 hours. 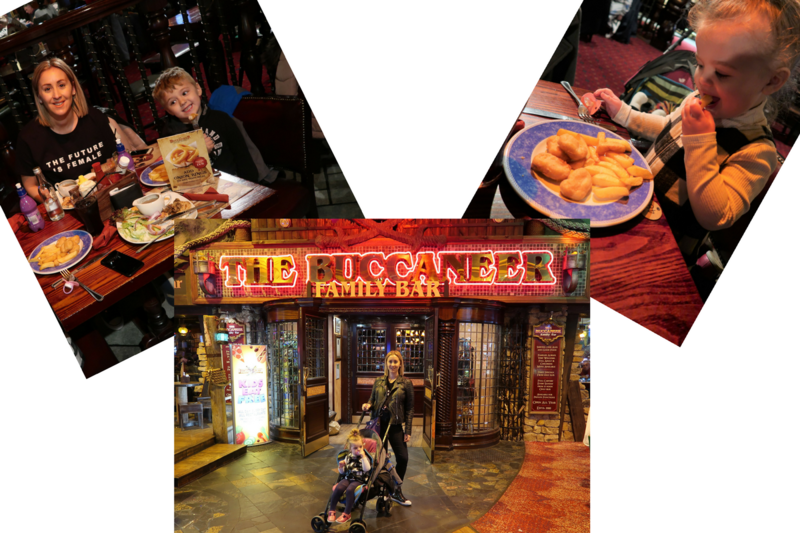 We started our visit by grabbing a bite to eat at the Buccaneer Family Bar. Like all 4 restaurants, it had a great selection of food and the added bonus that all the restaurants offer a kids eat free promotion throughout the year. I also greatly appreciated that due to my recent healthy eating regime I asked for a special meal to be made for me not on the menu and the staff couldn’t have been more helpful or accommodating. All the food was freshly made and arrived within 10 minutes of ordering it. Me & Lee both had huge chicken salads with a beautiful homemade dressing served on the side and the kids had their favourite chicken nuggets and chips, which they both scoffed within minutes ready and energised for the afternoon ahead. Coral Island has every type of arcade game you can think of, from your old school 2p pusher machine to your modern high-speed car chase simulator game. There are machines and games suitable for all ages. Charley loved bopping the Minions on the mallet game, Harry & Lee enjoyed several goes on the Camel Derby and I had to be dragged away after my 10th game of Bingo. Coral Island also has an adults only area and a newly opened casino for anyone looking for some child-free fun. Coral Island has 2 rides for all the family to enjoy. The first is the Pirate Flyer monorail which takes you high above the arcade and with the assistance of your own personal Blunderbuss Thunder Gun the aim of the game is to shoot all 133 target as you move along in the sky. 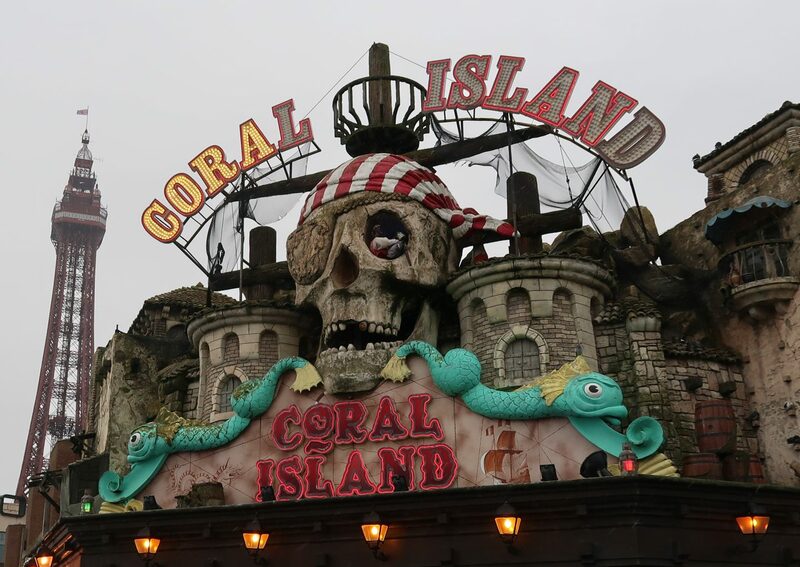 The second ride is the Pirate Quest Ghost Train which takes you on a haunted quest through the Coral Crusader Galleon to find the hidden rubies. Far from being too scary, both kids loved hitting the buzzer to make it light up each time a ruby was in sight. Coral Island also has a little merry- go- round for smaller children with a selection of different carriages to sit in. 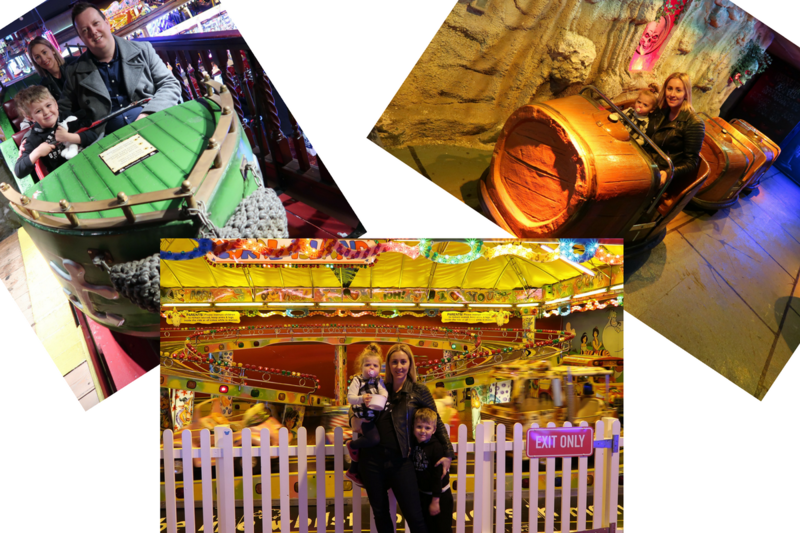 We loved our afternoon at Coral Island and had great fun playing on all the machines and rides. 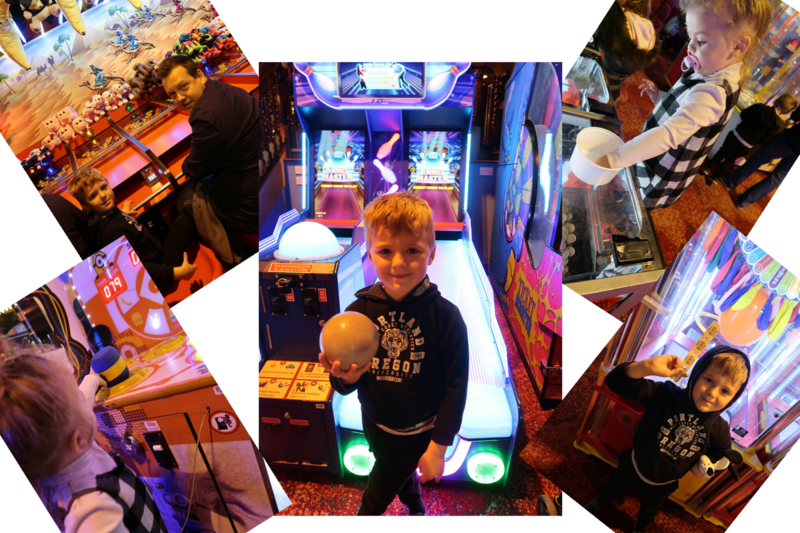 It was extremely busy when we went due to it being the Bank Holiday but we never had to cue more than 3 minutes to get on either of the rides or play on any of the machines. There was a great selection of food on offer and the staff couldn’t have been more helpful or friendly. Check out their page before you go for the latest offers as we were lucky enough to sign up for free Easter Eggs when we visited last week. 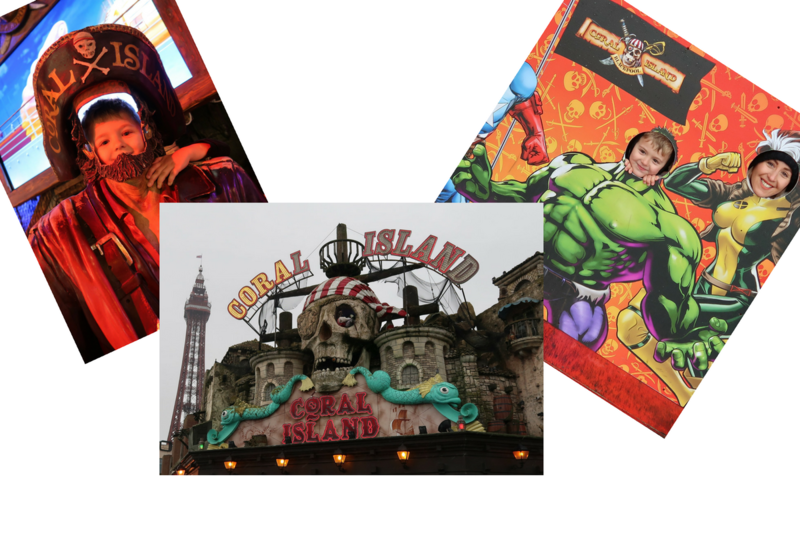 So if you are visiting Blackpool or like me are a resident and are looking for a great day out with the kids then take a trip to Coral Island and check out all the treasures on offer for all the family. This post was in collaboration with Coral Island. I was paid for my time to write about our day at Coral Island but all my thoughts and opinions are my own. "Top 3 Beachwear Tips For the Fashion Savvy Traveller"
"5 Healthy Ways To Get Beach Body Ready"